Please email us if you have an outstanding gift voucher or if you'd like to arrange for a private group (minimum 8) Thanks! 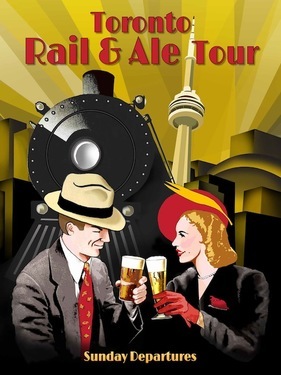 This half day tour includes tutored beer tastings at three different stops, 2 brewery tours, a private tour of the Toronto Railway Museum, a ride on the new UP Express, a beer & cheese tasting and an "experiential beer tour" in Toronto's Junction "Beer District". Steam Whistle Brewery, Mill Street Lounge at Union Station and Henderson's Brewery, plus pretzel and cheese tasting, entrance to the train museum and return train fair to the new UPExpress Bloor Station! All for $99 (plus tax). Invite your friends to explore Toronto's Craft Brewery scene in a unique way! Sundays from 1:00 to 5:00 pm. A private guided tour of the historic trains next door at the Railway Roundouse of the Toronto Railway Museum. ﻿Book a Tour Now﻿ for $99 plus HST all-inclusive. Following our Steam Whistle tasting we will the grounds of the Toronto Railway Museum at the historic John St. Roundhouse. 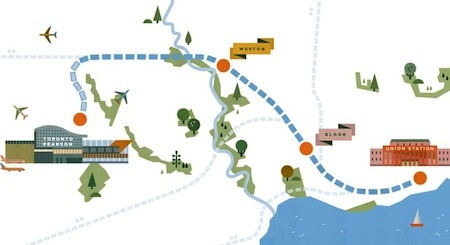 Here we'll explore the historic cabooses and engines from Toronto's early rail history with our guide. Our tour will continue on with a walk across the SKYWALK to the magnificently restored Union Station. After a brief story on the history of this site, we will relax in the CIBC UPSTAIRS Lounge featuring Mill Street Brewery and sample 4 of their Lagers & Ales . In keeping with our train theme we will hop on board the UP Express for a train ride to their new Bloor Station in the heart of the Junction Beer District! Henderson's Brewery - Toronto's latest craft brewery. We will disembark at the the new Bloor St. Station in the heart of the Junction Beer District and stroll down the Art Walk to Henderson's Brewery, Toronto's latest addition to local craft beer. Here you'll enjoy a special "Experiential" brewery tour where we will sample at each stage of the brewery process. 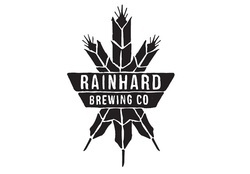 This will be followed by a beer and cheese tasting of Henderson's fine Ales as well as some award-winning beers of neighbouring breweries from the Junction's burgeoning "Beer District", Rainhard Brewery & Junction Craft Brewery. Following our visit to Henderson's you'll have the chance to "ride the rails" for your return trip on the UP Express to Union Station. (Return fare included in price). Runs from 1:00 to approx. 6:00 p.m. If you have an unused gift certificate, please contact us about scheduling your tour. Buy this full-afternoon tour experience now for just $99 (plus HST) including all beer samples, snacks, return train transportation, tours, museum entrance fee and "Prudhomme" Certified Guide.